New Compact Crusher Range to be Unveiled at Steinexpo 2017 | Bison Iron Corp.
PETERBOROUGH, ON –July 28, 2017 – McCloskey International’s expanding crusher line now includes compact crushers, which will make their worldwide debut in Europe’s largest basalt quarry at Steinexpo 2017, held from August 31 – September 2, 2017 in Homburg/Nieder-Ofleiden, Germany. Situated in a 1400m2 stand in Demo Area C, Stand C17, the position will allow visitors to witness the power of McCloskey equipment in action, as well as explore new products on the stand. The new I34 Impactors are designed to deliver high performance and expanded versatility in a highly mobile lineup to customers around the world. Able to nimbly move around in small spaces, they continue to move with crawler tracks while crushing. The lines’ small footprint is uniquely suited to the demolition and asphalt recycling industry, aggregates and smaller scale construction projects. Less than 2.5m wide, the crushers can be transported easily from site to site. The new crushers boast flexibility as well, with standard machines converting to recircs in just a few hours. The compact jaw and impactor share the same platform so that the vast majority of components are identical between models to simplify spare parts. 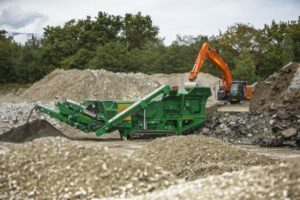 The compact crushers share many of the same features as their full size family members, including full colour screens, open engine compartments for ease of maintenance, and ease-of-use through less complexity of the hydraulic drives and clutch system. The New I34R compact crusher will be on display at Steinexpo, the first of a series of compact crushers available worldwide. The new version of the full size impact crusher, the I44v3, will also be on display, redesigned following worldwide field site visits. 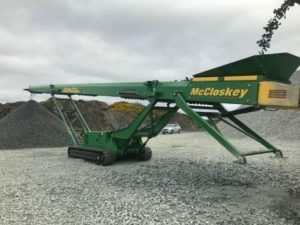 Feedback from McCloskey customers resulted in significant changes to the impact crusher line, including direct drive, an enhanced material flow path, larger pre-screen, and a more open chassis. Efficiency is boosted with the new crusher design, particularly in the material flow path. Each sectional component is wider than the last to allow an unrestricted flow without funneling or narrowing, eliminating material bridging. The direct drive crusher rotor is also a new feature on the I44v3, bringing more power, along with lower fuel costs. The redesigned open chassis allows for better access, and a hydraulic adjustable magnet contributes to easier operation of the crusher. The I44v3’s versatility and upgraded design makes it ideal for some of the toughest applications worldwide, including asphalt recycling, concrete recycling, rock crushing, construction and demolition. To round out the screening and stockpiling product lines, the TS4080 and a scalping screener will be on the stand. The TS4080 stacker is the newest addition to the materials handling division. 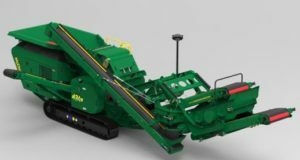 Designed to allow operators to stockpile/transfer material directly from mobile crushing and screening plants it offers the flexibility and mobility needed to ensure that the stockpiling process is as fast and efficient as possible, while eliminating the use of a loader and double handling of materials. The TS4080 can be containerized for transport, with minimal setup time, substantially reducing transport costs. Hard at work in the demo area, the durable and powerful J45R jaw crusher will be crushing basalt for attendees The McCloskey J45R recirculating Jaw Crusher combines the productivity of the J45 with the versatility of a full screening and recirculating system, allowing operators to produce a crushed and screened final product with one machine. The combination of the Jaw Crusher along with the High Energy Screenbox and a recirculating conveyor deliver maximum productivity. The radial recirculating conveyor allows operators to either return material through the crusher jaws or to stockpile a separate finished product. The J45 boasts a high capacity hopper with close to 8 cubic yards (6 m³) capacity mounted over a vibrating feeder with optional pre-screen. Steinexpo 2017 is seen as the perfect opportunity for McCloskey International to launch the new crusher line, as well represent products from each of their ranges – crushers, screeners and stackers. 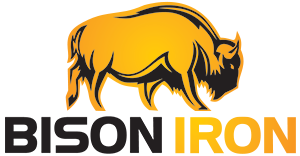 McCloskey representatives and dealers will be on hand to discuss the products on display and in the demo area, and live demonstrations of the equipment will be held on the stand. Over the past twelve months McCloskey International has continued to add new international dealers across all regions to represent the number of new products that were added to the company’s portfolio.